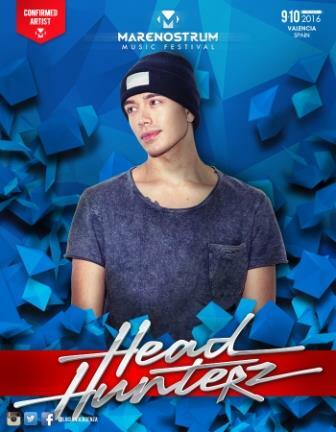 Willem Rebergen, better known by his stage name Headhunterz, is a Dutch DJ and music producer. He's also done voice-acting for several movies and TV series. He kicked off his career in 2005, and grew into one of the biggest names in hardstyle music, becoming a major contribution to its growing popularity worldwide. He has performed at major events and festivals, including Qlimax, Defqon.1, Q-Base, inQontrol, Decibel and Hard Bass and has performed at popular electronic music festivals Electric Daisy Carnival and Tomorrowland. For the majority of his career Headhunterz has released his work on Scantraxx through his own sub-label, Scantraxx Reloaded, but in 2013 he started his own record label, HARDwithSTYLE. He signed with major North American electronic dance music label, Ultra Music in 2013 and left his own label in 2015, heading for a different musical direction.